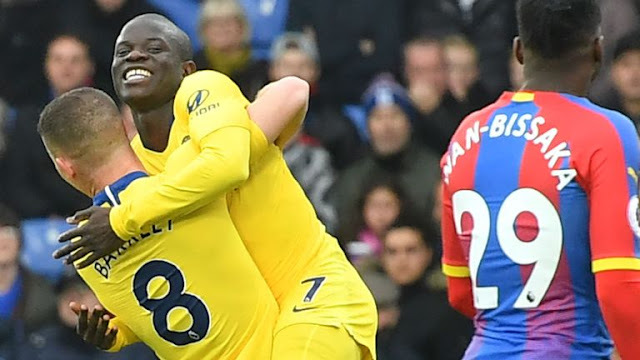 Recap : Chelsea finally made it back to winning status after N'golo Kante scored one out of many missed chances that also included hitting the post in the first half by Alonso.. Crystal Palace Fc : Guaita 7, Wan-Bissaka 7, Tomkins 7, Sakho 6, Van Aanholt 6, Milivojevic (c) 7, Kouyate 7, McArthur 7, Schlupp 6, Townsend 6, Zaha 6. Subs: Meyer 6, Wickham 6. Barkley 7, Willian 6, Giroud 6, Hazard 6. Subs: Emerson 6, Kovacic 6, Morata 6. Crystal Palace failed to record a single shot on target in a Premier League home game for the first time since March 2017 vs Watford. 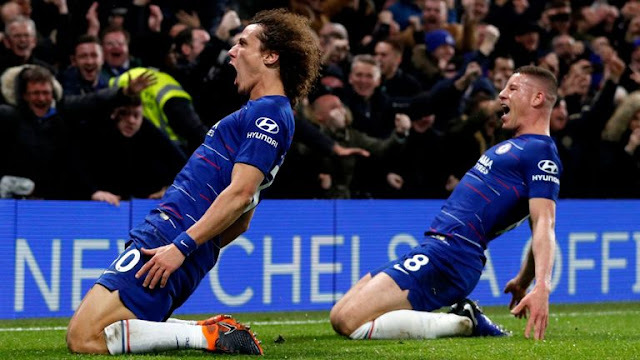 Chelsea have won three consecutive Premier League away games for the first time under Maurizio Sarri, last doing so in April under Antonio Conte. Only Tottenham (9) and Liverpool (8) have won more away Premier League games this season than Chelsea (7). Chelsea's N'Golo Kante scored his third league goal of the season - his best-ever return in a single campaign in the top five European leagues.